and a lean body without dieting! My name is Madeleine Innocent. 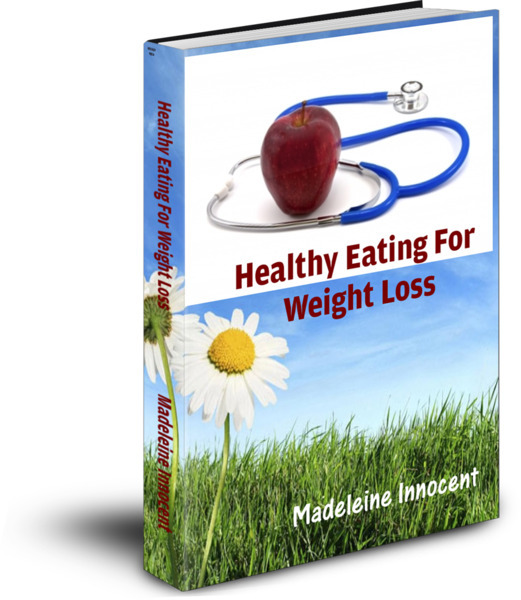 I am the founder of HealthyEatingForWeightLoss.com. I’m a homeopath. I am concerned with health and what causes ill-health. I’m not interested in fads and fashions. I am interested in the conditions that can lead us astray, that can create poor health. You may not be old enough to remember how food fashions wax and wane. Once butter was considered unhealthy, so margarine was created. Now it is known that margarine is far more unhealthy than butter. So why on earth should you listen to me? I’ll try to explain. I qualified as a homeopath in the year 2000. And I have been in full time practice ever since. I treat both people and animals and I love doing what I do. When these signs are ignored, then degenerative conditions occur, such as cancer. This means that your gut flora is responsible for how long you live. So you need to look after it! The knock-on effects of slimming down AND improving your health is greater self confidence. You know you look great so you ‘walk tall’.. Increased confidence does wonders for your potential - better job, more able to get your point across rather than keeping the peace, friends with those you previously thought were outside your league, are just a few examples. I Really Want You to Succeed! I know this information works. I know it has the potential to improve your health and to balance your weight (whether you are too heavy or too light). You have a 60 day, no quibble, guarantee. If you try out my suggestions and don’t see any results, then you can get your money back in full. This means I am trusting that you will do the work. After all you could take me for a ride. So why do I offer this guarantee? I know most people are frustrated with diets that don’t work. I am concerned that most diets are unhealthy in the long run. I know that most people slip back into old habits after the diet. I don’t want you to take a risk in something you don’t know, or perhaps someone you don’t yet trust. But I am also being selfish! Seriously! If you succeed, then I hope you will tell me about it. This helps to spread the word. Then more people will live healthier lives, be less worried about their weight, spend less on health care. So it’s good for you, your wallet, the environment and me. I also include a bonus on how to treat injuries effortlessly, in the comfort of your own home. Since injuries are one of the leading reasons why people either don't exercise enough or eat too much, I consider this an important part of your new lifestyle. makes a terrific gift, too, without being pointed about weight!